Greetings, everyone! I wanted to share a short video of a big chop I did earlier this week! I had a client with natural hair that had been wearing sew-ins and for a while and had damaged parts of her hair from using flat irons. She wanted all the damage gone and the rest of her hair cut to an even length. We followed that with feed-in braids to give her a low maintenance style while growing re-growing her hair. I used shears to cut her hair and used Hair Garden’s Mint cleanser and Mango Punch Conditioner. We are looking forward to returning her to a full, healthy head of hair! Please post any questions or comments and thanks for visiting my blog! Author AphropuphsPosted on December 8, 2018 December 8, 2018 Categories Hair Care, Hair Maintenance, Natural HairstylesTags advice to the newly natural, afro hair, afro hair care, black hair, conyers natural hair, cornrows, hair growth, natural hair, natural hair care, protective styles for natural hair, the hair garden, the hair garden nurseryLeave a comment on Big Chop and Braids! Kelp is used by many herbalists as a mineral supplement. It is called “herb from the ocean” or referred to as a sea vegetable. It falls under the Protista family of the Six Kingdoms of Life. Kelp is one of the fastest growing plants, second only to bamboo. It grows several centimeters daily. Giant kelp can grow up to 100 feet in one year and up to 2 feet in one day. Kelp is very rich in nutrients. It is 10 times richer in minerals than any known land crop. Kelp contains over 60 minerals and elements, 21 amino acids, simple and complex carbohydrates and several essential plant growth hormones. It is rich in iodine, calcium, sulphur and silicon. It also contains phosphorus, iron, sodium, potassium, magnesium, chlorine, copper, zinc and manganese. It has a small amount of barium, boron, chromium, lithium, nickel, silver, titanium, vanadium, aluminum, strontium, bismuth, chlorine, cobalt, gallium, tin and zirconium. Kelp is also rich in B-complex vitamin and contains vitamin A, C, E and G. It also contains anti-sterility vitamin S, and it has anti-hemorrhage vitamin K.
Many of the abovementioned minerals are vital for optimum hair growth. These nutrients are carried to the dermal papilla through your blood. The more nutrients in your blood, the more nutrients can be supplied to the hair follicle. Kelp is known to prevent hair loss, and there are claims that it can regenerate hair if the follicle is still alive. Another important component of kelp is alkali. Alkali helps your body maintain the balance between acid and alkaline. Our body’s normal pH is around 7. Your body’s pH balance is dependent on the food you put into your body. When you are sick, eat a lot of low quality foods or consume a lot of foods with high pH, to prevent your body from becoming more and acidic. Taking alkali into your body by taking kelp will help you stay balanced and healthy. If you do plan to take a kelp supplement, take only one or two tablets a day, and take 2 days off a week and a week off each month. Those suffering from hyperthyroidism or have heart problems should not use kelp. 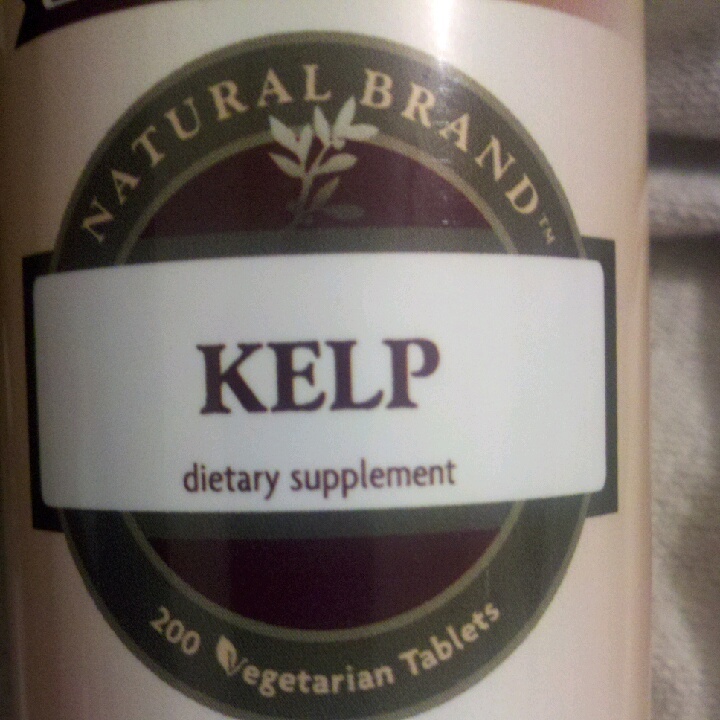 If you want to begin taking kelp but are not sure if it is right for you, please contact your physician before adding this supplement to your diet. Considering adding castor oil to your natural product line-up? I advise that you do! If you are experiencing slow growth or thinning, castor just might be the oil for you! Some of you may be familiar with castor oil as a laxative or other home remedies. I have been using it as part of my hair are regimen for a super long time now, from the Bronner Brothers castor oil I used when I was younger to the Jamaican black castor oil I use now. I had no idea of the many wonderful benefits of it until my adult years. I visit the local natural foods stores and vitamin shops for my castor supply.. I am sure there are several types on castor oil available online as well. 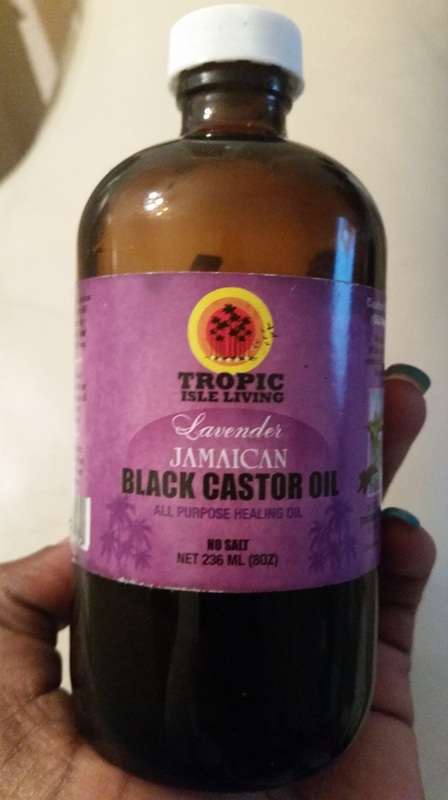 I just use the Lavender oil Jamaican black castor oil. It is a heavy oil and has the consistency of syrup. I rarely use it alone because it can be too heavy and weigh down my hair and make hard to manage. When applying to my scalp I use it undiluted but when applying to my actual hair strands, I lighten the mix by adding another lighter oil such as olive, grape seed or almond. So what exactly makes castor oil so great? On the outer layer, castor oil is great for natural hair because it coats the cuticle of the hair sealing moisture inside. On the inner layer, it works as a humectant. This means it pulls its moisture from its environment to help it do its job, so I advise that when you apply castor, to do so while the hair is damp, preferably after a cleansing or prior to baggying. I also like to use it when the weather is humid. It works great as detangler and aids in my hair elasticity. Omega-9 fatty acids are found in castor oil which keeps the scalp lubricated and nourishes the hair. Because it is so heavy and it works best in moist environments, be very careful with how much you use. If there is no moisture in the hair to begin with then it has an adverse effect on the hair actually making it tougher. Castor plants grow and flourish in tropical areas, so it is my theory that it naturally needs additional H2O from external sources to get the best results from the oil. I often include a few drops of castor oil whenever I oil my scalp. Castor oil works great to prevent and slow down hair loss from the scalp depending on the source of the problem. The oil contains anti-fungal and anti-bacterial properties that protect your scalp from some infections that can cause hair loss. Castor oil also aids in detoxifying the harmful substances invading your scalp. Once the unwanted particles are inactive, the skin cells are more easily stimulated and nourished. This then promotes circulation and blood flow that promotes hair growth. It is almost like a laxative for the scalp as well! I have often heard about people using it to grow and thicken their eyebrows and eyelashes! I love the way castor oil makes my hair feel and it is an oil that I will always be a part of my hair care regimen. Castor oil has plenty of great benefits that I think would be very useful to people seeking natural ways to encourage natural hair growth. Let me know how it works for you! MSM stands for methyl sulfonyl methane. It’s an organic sulfur compound that occurs naturally in plants and animals. It is found in the lignin of pine trees. It greatly differs from regular sulfur (sulfuric oxide) which is processed into sulfuric acid and is toxic to the human body. MSM is white and regular sulfur is a yellow color. MSM is the most important raw material for building new cells during the healing process. It is an acid forming mineral that is part of the chemical structure of the amino acids methionine, cysteine, taurine, and gluthione. Amino acids are the building blocks of our body’s proteins. The more MSM our body has to work with, the more protein we develop resulting in faster hair and nail growth and healing of the body’s tissues. MSM is considered food so it is easily absorbed and utilized by the body. MSM is found in human, hair, skin, and nails. It’s also found in hemoglobin and all body tissues. 1/3 of the hair’s strength comes from disulfide bonds (sulfur bonds). After your body assimilates the MSM it turns into an acid which becomes part of the amino acids that produce the protein in the hair (ethnic hair is 93%-97% protien), skin, and nails. The more MSM your body has to utilize, the more it has available to build the necessary proteins needed for faster hair and nail growth and healthy, new skin cells. MSM has many other important benefits to your body. It supports the connective tissues like tendons, muscles, and ligaments. It makes the cells in the tissue more permeable, allowing fluids to pass through more easily, therefore, releasing toxins and reducing inflammation. This makes MSM helpful to those suffering from arthritis, osteoarthritis, rheumatoid arthritis, bursitis, gout, muscle pain, and constipation. It is used by many athletes because it accelerates the healing process. It’s even given to race horses to prevent muscle stiffness. MSM is also needed for insulin production so it is good for those with diabetes. It also disinfects the blood, helps the body resist bacteria, and protects cell protoplasm. It’s beneficial to those who have problems with acne, allergies, asthma, yeast infections, carpal tunnel syndrome, chronic fatigue, migraines, and ulcers. MSM deficiency can lead to problems like scar tissue, wrinkles, varicose veins, hardened arteries, digestive disorders, dry skin, joint problems, and inability to fight allergies. How much MSM can I take? What can I take with it? I have seen recommendations of dosages ranging from 1,000 mg- 6,000 mg, but the amount you take all depends on your body size, age, and the severity of MSM deficiency. It has an extremely low level of toxicity, similar to water. Excess MSM is secreted through the urine within 12 hours of consumption. Studies show that when MSM is taken in combination with zinc, silica, and biotin, the skin reaps the most benefits. Vitamin C depends heavily on MSM for optimal absorption. The more vitamin C your body is able to absorb, the faster the healing process. WARNING: MSM should not be consumed by those who have kidney issues. It makes you more susceptible to kidney stones. I hope this has given everyone a good idea of what MSM is. I purchased MSM from GNC, but recently saw it at Wal-Mart for $1 cheaper. I take my MSM about 1-2 times a day in addition to prenatal vitamins ( for hair, skin, and nails only! lol). I am going to add biotin to my cocktail now. While taking prenatals and MSM alone, I experience about 1/2 inch+ of growth a month. Make sure you drink plenty of water when taking these supplements to aid in flushing the toxins out of your body! DID YOU KNOW? –>The disulfide (sulfur) bonds that MSM creates, which accounts for 1/3 of the hair’s strength, are the same bonds permanently destroyed by chemical relaxers.